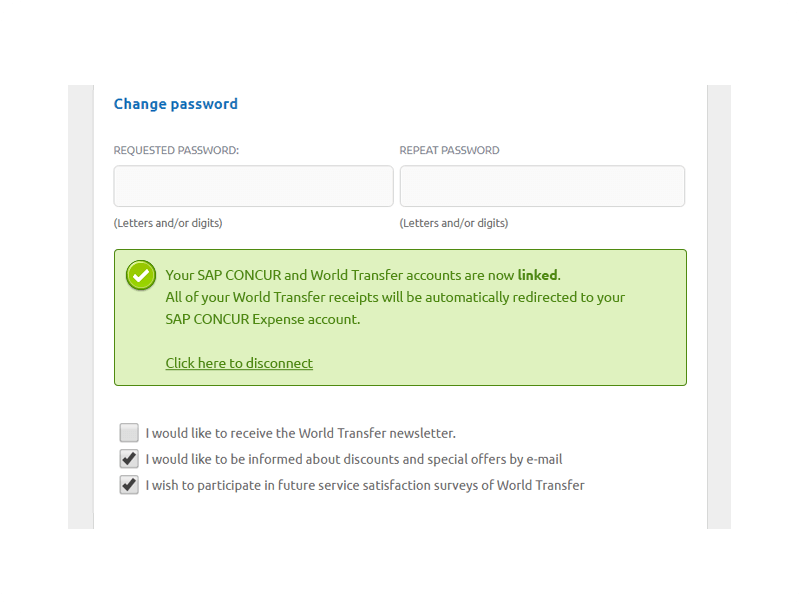 Please login to your World Transfer account via our website: www.world-transfer.com, and then, in your profile, click on the blue button next to the SAP CONCUR logo. 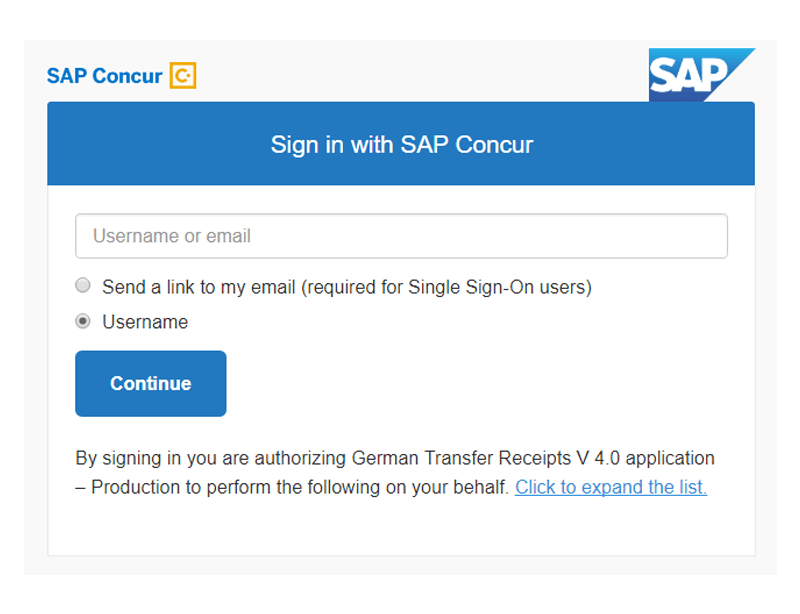 You will then be asked to sign in to your SAP CONCUR account. After entering your login details, then click on the button "Continue". 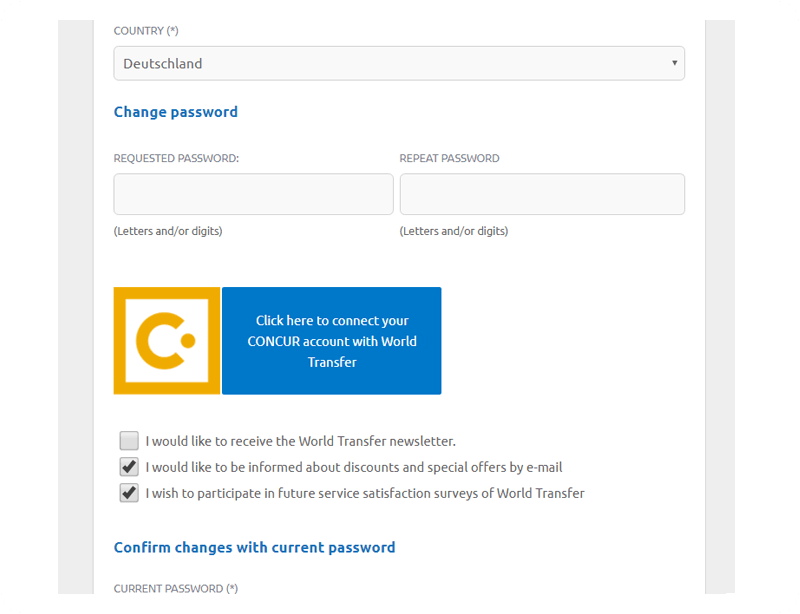 In the next step, sign in again with your World Transfer login details. 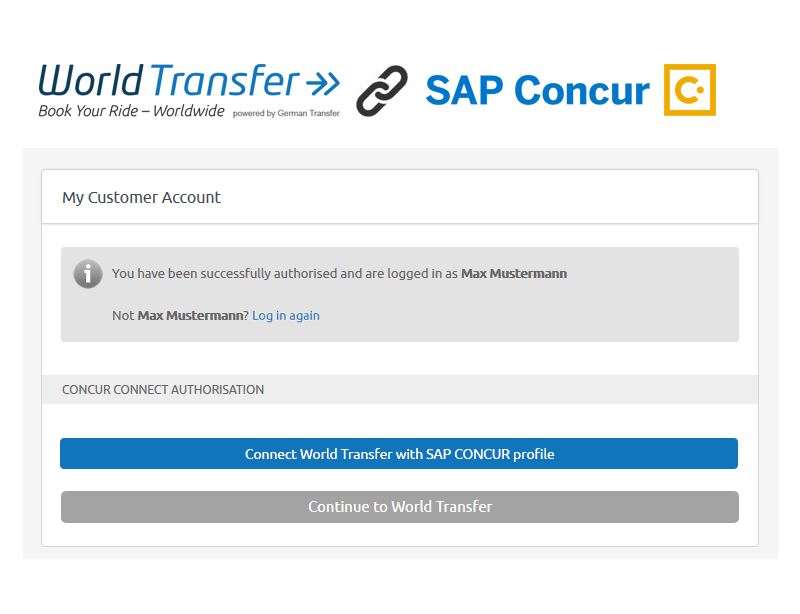 After successfully logging in, click on the green button "Connect World Transfer with SAP CONCUR profile". 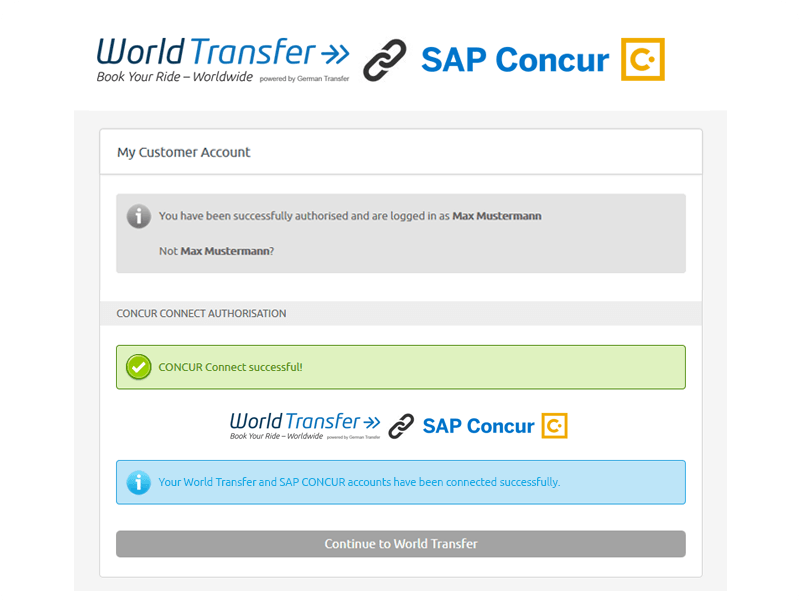 The SAP CONCUR Connect authorisation is now successfully completed. 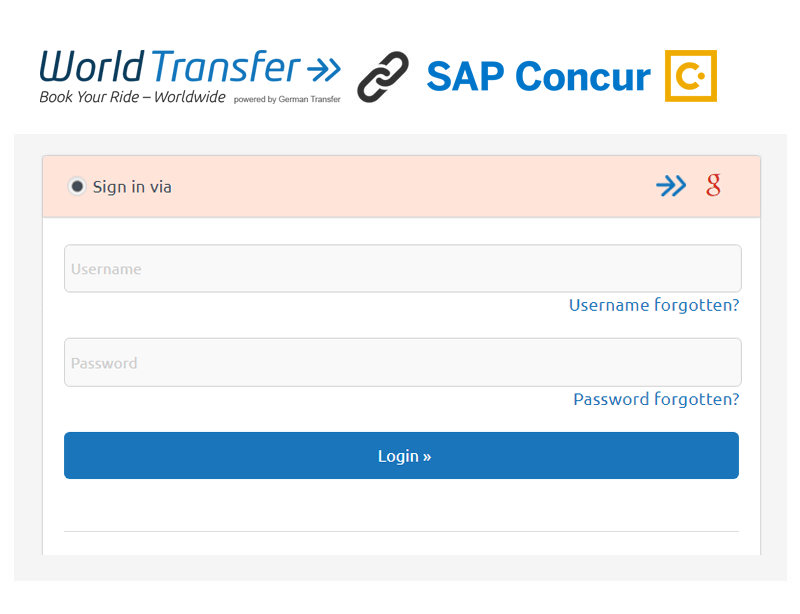 If you want to disconnect the link between World Transfer and SAP CONCUR, click on the link in your World Transfer profile: "Click here to disconnect".